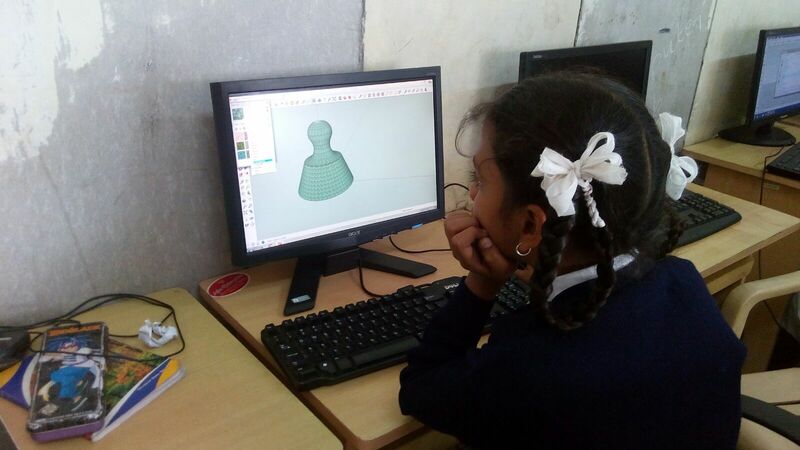 A student at Ekalavya School in Bangalore works on CAD and 3D printing in her Level Up Village Global Inventors course. Ekalavya partnered with Level Up Village in 2015 in order to expand its curriculum and equip students with innovative technology courses important 21st Century skills. One of Level Up Village’s largest Global Partners is Ekalavya, a network of low-cost schools serving more than 1500 children who live in the slums of Bangalore and Hyderabad, India. Since 2015, approximately 200 Ekalavya students have participated in Level Up Village’s cutting-edge STEAM (STEM + arts) innovative technology courses including Global Inventors (3D printing), Global Video Game Designers. 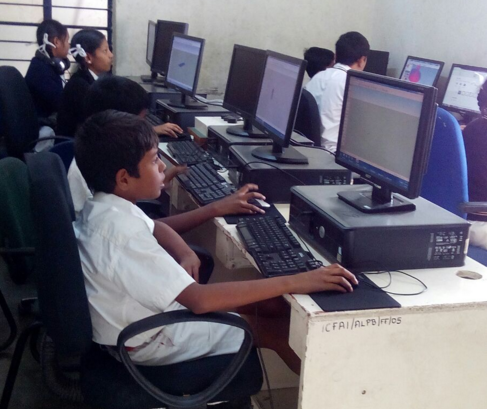 “Fifty percent of the children from the slums will not continue their education after the 10th grade, hence it is important for them to give exposure to the technology which will inspire and motivate them to do well and continue,” said Dr. Jayaram, Chairman & Managing trustee of Kasturi Trust. The families of these children subsist on an average of INR 5,000 ($75 USD) per month and live in one-room tenements without a proper supply of drinking water and electricity. Their homes are small, dilapidated mud huts, with roofs and ceilings made of scraps of wood, cloth, metal or waste material. Sewage stagnates in open drains, leading to frequent infections for children who play nearby. Ekalavya Schools provide low-cost, high-quality education to more than 1,500 children living in the slums of Bangalore and Hyderabad. Funded by the Kasturi Trust, which raises fund worldwide to support the education of poor children, Ekalavya has been delivering low-cost, high-quality education in the slums of Bangalore and Hyderabad since 2012. By partnering with Level Up Village, Ekalavya is expanding its curriculum and helping students acquire important 21st Century skills. “Ekalavya students would not ordinarily have the opportunity to be exposed to technology like other children from the upper classes. They would be lacking in skills to compete with the other children when it comes to technology and other skills in STEM fields,” said Dr. Jayaram. Level Up Village courses help to level the playing field by introducing Ekalavya students to cutting-edge technology such as coding, computer aided design (CAD) and 3D printing. By participating in Level Up Village courses, Ekalavya students are gaining valuable exposure to today’s cutting-edge technology, while improving communication skills, including spoken English. Perhaps the most important 21st century skill the students have developed through their Level Up Village courses is global collaboration. All Level Up Village courses include one-on-one connections with partner students from across the globe. Ekalavya students have worked on shared STEAM projects with students at schools in New Jersey, California, Connecticut, New York City and Washington, D.C., who are following the same curriculum. This experience has also greatly expanded the children’s understanding of the United States. “They have come to know a lot about America, its people, culture, popular foods, lifestyle, weather and more through interacting with their partners. Ekalavya students have developed a great respect for the U.S. as a country and its people as a result,” added Dr. Jayaram. On the other end of a recent collaboration with Ekalavya were students at All Saints Academy in Winter Haven, Florida. This experience that allowed them to not only collaborate on projects in their Global Video Game Designers course, but also learn about each other’s daily lives. This Ekalavya student in Bangalore recently co-designed a 3D printed solar-powered light source with her partner in Baton Rouge, Louisiana. They communicated each class period via video message exchange using Level Up Village’s global communication platform. 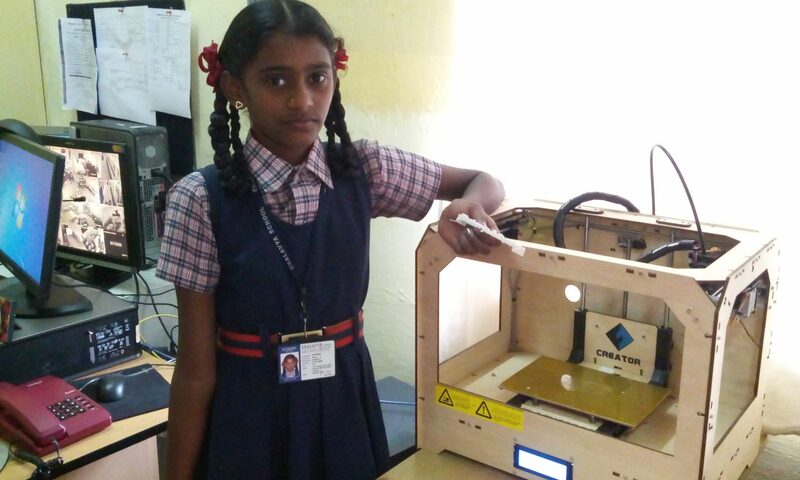 *See what a student in Bangalore (pictured above) and her partner in Baton Rouge, Louisiana, had to say about their global 3D printing collaboration in this article.